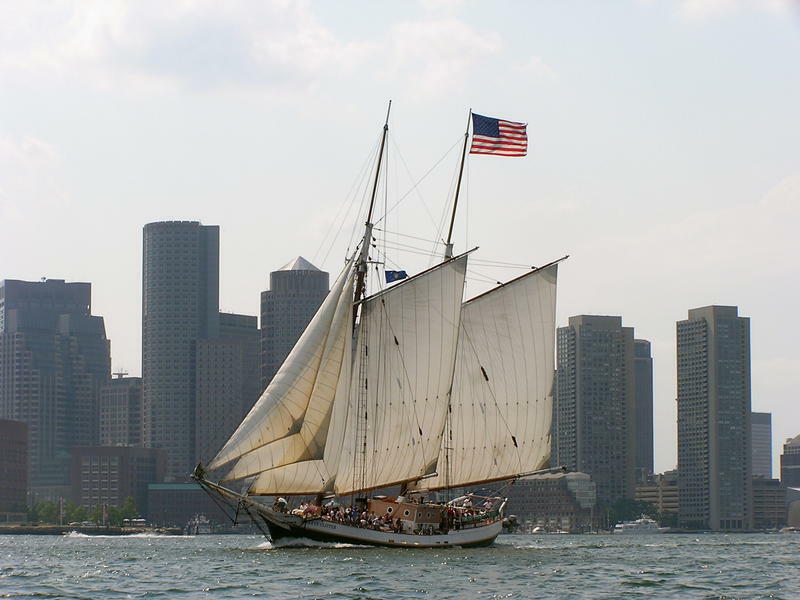 Stay in downtown Boston aboard the schooner LIBERTY CLIPPER on our Tall Ship Overnights. A unique experience. Enjoy the best rates in town, while staying in the historic waterfront district of Boston, a block from the North End and Faneuil Hall / Quincy Market. IMPORTANT NOTE: Check in is after 10:00 AM and BEFORE 18:00 (6:00 PM). If you will not arrive by this time, you MUST make arrangements PRIOR to booking or you will not be able to stay the night aboard the ship. THE LIBERTY FLEET OF TALL SHIPS' Main Office is located on historic Long Wharf. Our blue ticket booth is on the left side of the Aquarium Plaza (as you face the Aquarium) next to their Whale Watch ticket booth. The Liberty Clipper is docked on Central Wharf on the north side of the New England Aquarium. Please wait for instructions from a Liberty crewmember before proceeding to the boat. Long Wharf is an extension of State Street at the intersection of Atlantic Avenue and State Street. To reach the Liberty Fleet office, walk past the Long Wharf Marriott toward the water. After the Chart House Restaurant, the office is on the first floor of the last building on Long Wharf, just past the main entrance to the building. Look for our sign Bostons Tall Ships hanging over the # 67 doorway..
Our offices are located at 67 Long Wharf, Boston, MA. Our sailing ships where you will stay are docked at Central Wharf, Boston, MA. Convenient to Faneuil Hall, Quincy Market and the North End directly on Boston's Waterfront. NOTE: WE CANNOT ACCOMMODATE LATE CHECK INs. If you cannot arrive before 6pm on your check-in day, you will not be able to stay on the ship that night, please contact us before you book if you have any questions on this policy. Taxes: Note, the price quoted does not include taxes. Those taxes will be extra and added to your bill when the Liberty completes your reservation. Refund/Rescheduling Policy: Non-Refundable, cannot rescheduled. Once purchased, reservations cannot be refunded and cannot be rescheduled. Cancellation by Company: Schooner Liberty Clipper, Inc. reserves the right to cancel any booking in the event of a private charter. If the Company cancels your booking for a private charter only, you may reschedule to another comparable time or receive a refund. 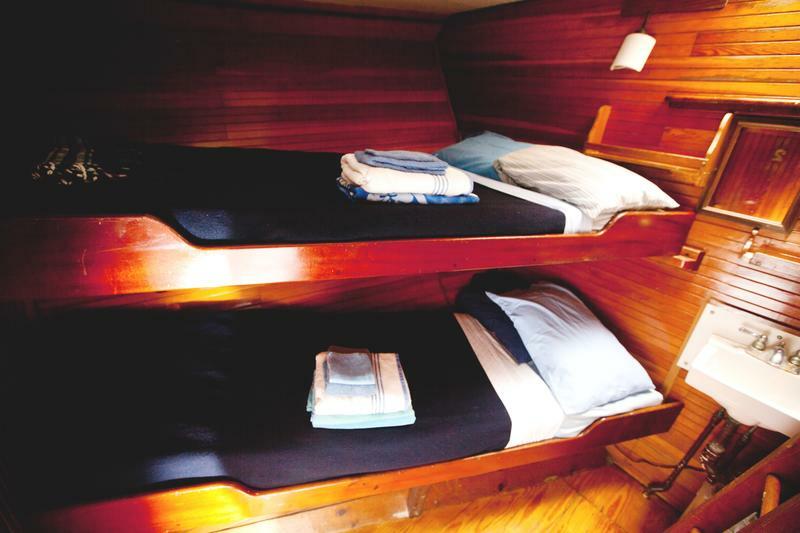 Other policies: Children: Minimum age for lodging aboard the Liberty Clipper is 8 years old. Parents must accompany children at all times while aboard the vessel. Rain or Shine: You may not cancel your reservation for inclement weather. Check in is from 10 AM to 5:30 PM at the Office at 67 Long Wharf. We cannot accommodate late check-ins. Our tall ships are working vessels. Overnight guests may purchase a ticket for a sail at a 30% discount, otherwise must be off the ship and exploring historic Boston while the ship is sailing for the day, typically from 10 AM to 8 PM. NOTE: Boston's hospitality tax of 14.46% is not included in the listed price, and will be added when Liberty Fleet completes your booking.